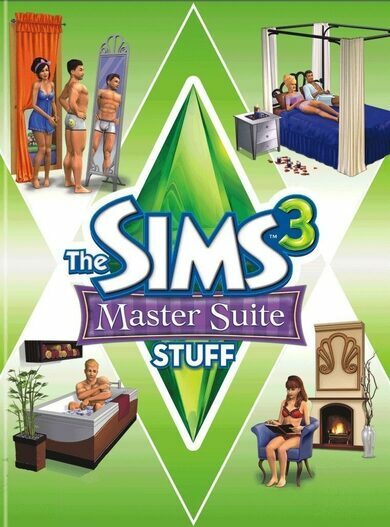 Your Sims spend nearly a third of their life in their bedroom, make sure they love it there with The Sims 3 Master Suite Stuff pack from EA Maxis! Contemporary style bathroom furnishings will provide much more than just a place to wash yourself for your Sims with a combination of style and comfort! Renovate your bedroom with a canopied bed, new chairs and much more. Let your Sims have a romantic night in, with the new collection of intimate wear!